When I started in the Bleacher Report Advanced Program in Sports Media, I didn’t realize the great opportunity I had to connect with my readers. I wrote all my articles faithfully but only took the time to reply to commenters who disagreed with my article, leaving comments like “Good article” or “Agree with all your choices” unanswered. Only in the past few weeks have I realized how backwards that strategy is. The people who disagree with my articles are not likely to budge on their opinions. I can try all I want to persuade them to my side of the argument, but my chances of success are small. Even if I do win them over, they aren’t likely to admit it. Now, I still respond to the negative comments, but I try to do it with a respectful, not-too-argumentative tone. On the other hand, responding to the positive comments can make a world of difference in establishing a consistent readership and fanbase. In one of my more recent articles, ranking the top 10 San Antonio Spurs players of all time, I made an effort to respond to every comment in a polite and conversational tone. Several of the commenters on that article have started to comment on a few of my other articles, and many of them have become “fans” of mine in the last week. Even better, they have struck up conversations with me on my message board, asking me questions about the Spurs or the NBA in general. They know I’m not just an impersonal writer anymore, and I will respond to them. In summary, the main lesson I have learned this summer with B/R is gratitude. Just because we, as sports journalists, may be able to articulate our opinions well doesn’t mean we are better than our readers, or that we know more about sports than they do. With this realization, it becomes harder to ignore those commenters who take the time to praise you for your work. So don’t forget to interact with all of your readers. Without them, who are you writing for? 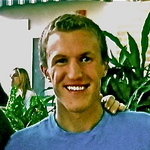 Jared Johnson is a member of the Summer Class. Follow him on Twitter @jaredtjohnson21. Always a good idea to respond to commenters. Even if they sometimes feel like Tormentors. Great post Jared. I always thank those who leave comments. Often I say that the great thing about sports is that everyone has an opinion. If we all had the same opinion there wouldn’t be anything to read (or write!). Thank you for this article Jared. It helped me to realize how much I need to work on this. Several nice reminders here, Jared. Our readers are valuable and can share great insight as well. I’ve learned from many of them and respect their passion. Just want to also add how important it is to represent and support B/R with class and dignity on this site. There are a lot of hard working people who have put together a great thing–that give us the opportunity to participate. We need each other. Terrific post, Jared! Can’t say enough about the importance of interacting with your readers and making the active choice to be civil with negative commenters. It means a lot to readers and the B/R community as a whole. Enjoy your columns, although I have sad news to report- The Sports World have lost a great former professional football player of the New England Patriots ( 1972 -1980) and New Orland Saints(1981) on yesterday afternoon (Saturday-October 10, 2015) Offensive Guard – Sam Edward Adams Sr. of Jasper, Texas, He passed away from a lengthy illness at a hospital in Houston , Texas, He will be greatly missed. R.I.P.